Jack C. Smith, 100, of Brookville, PA, died Thursday, September 6, 2018 at Penn Highlands in Brookville, PA.
Born October 7, 1917 in Summerville, PA, he was the son of the late Harold C. and Florence (Morrison) Smith. Jack attended school in Summerville. He was married to the late Ruth (Nicholson) Smith on October 9, 1948; she preceded him in death on August 2, 2003. Jack was a self-employed farmer and was a factory worker for Crestline Inc. in Punxsutawney, PA. He was a member of the Summerville Church of Christ. 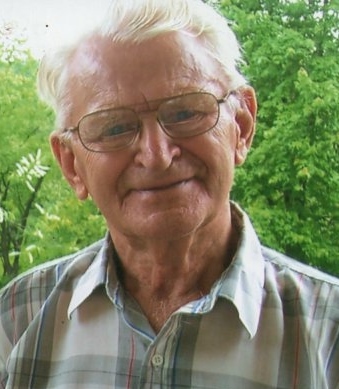 He enjoyed hunting, collecting antiques and old cars, and going to flea markets and auctions. Jack is survived by a son, William Smith of WV and a daughter, Sandy Smith of NY; two brothers, Dean "Pauline" Smith of Summerville and Eddie "Virginia" Smith of Corsica; and many friends, nieces, and nephews. In addition to his parents and wife, he is preceded in death by six brothers, Harold Jr., Leroy, Lloyd, Dan, Ronald, and Jim and three sisters, Elsie, Frances, and Evelyn. His family will receive friends on Monday, September 10, 2018 from 2 - 4 and 6 - 8 pm at the Furlong Funeral Home, Gregory K. Furlong FD, corner of Broad St. and First Ave., Summerville. Funeral services will be held on Tuesday, September 11, 2018 at 11 am at the Summerville Church of Christ with Larry Krause and Michael Smith officiating. Interment will follow in St. Johns (Windy Hill) Cemetery, Rose Twp., Jefferson County, PA.
Memorial donations may be made to the Church of Christ in Summerville.